Most nuts have irregular shapes and they are also fragile. 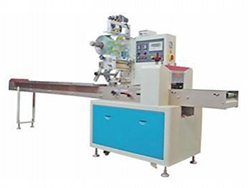 Therefore, the packaging of these kind of materials typically requires a packaging machine equipped with a multihead weigher. Meanwhile, a brush is used during packaging. Replacing the stainless steel distributor with a soft brush can prevent material crushing. For there are many kinds of nuts which features different weight, the dried fruit packaging bag has multiple sizes. So it is essential to adjust the packaging equipment regularly. 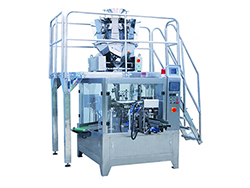 The control of the packaging equipment is carried out via a servo control system which can store the data of weight of hundreds of material to be packed. 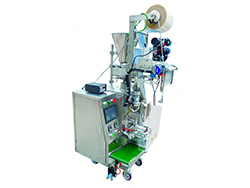 The function of the machine can be adjusted with minimal effort so that the packaging of the nuts can be more effective. Considering that consumers like the features of flexible packaging and the manufacturers should control the manufacturing and conveying cost, Siyuan generally adopts flexible packaging bags for dried fruit packaging. Meanwhile, the flexible packaging features light weight, soft texture and is easy to customize.